Building a customer service operation requires careful attention to all aspects of the process, from setting up a communications platform to assigning requests to agents. With these basics in place, managers can focus on exceptions and anomalies. Managers need to be able to readily address new situations and make the necessary adjustments in the system to keep it running. 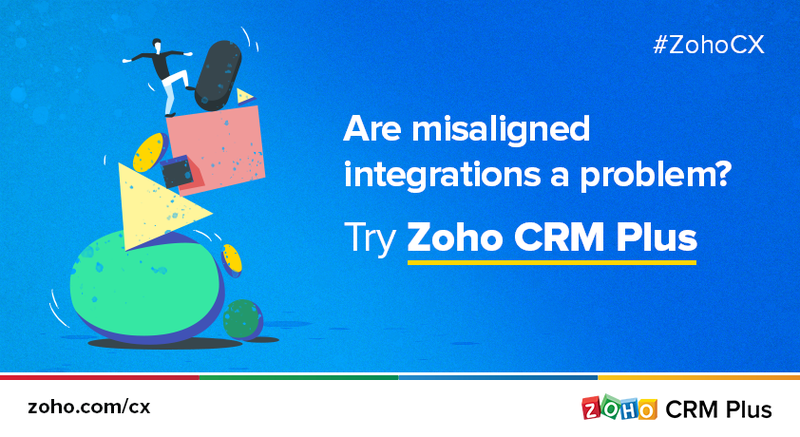 Zia in Zoho Desk is built to help managers stay ahead of their responsibilities and build proactive customer support. Zia keeps an eye out for any anomalies in ticket traffic. 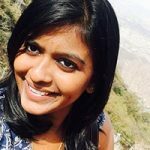 She monitors ticket traffic to establish the trend for incoming and outgoing tickets in a 24-hour period. She automatically identifies any sudden rise in the number of incoming responses or drop in outgoing ones. Managers and supervisors get instant notifications about these anomalies and can click through to see further information on the probable causes. When there is a rise in incoming responses, Zia also shows the ticket tags that contributed to the rise. This helps decision-makers investigate further and fix the problems immediately. 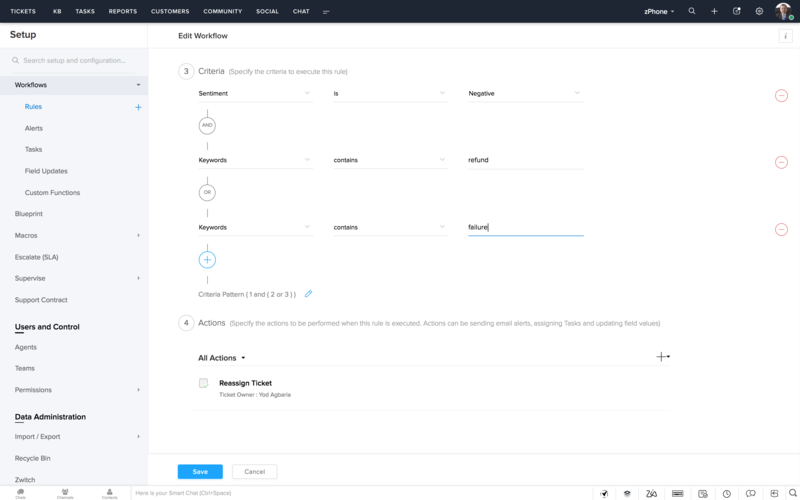 As a manager, Zia tells you the sentiment of each incoming customer response and the most important terms in these responses. Both of these values can be used as criteria in workflow automation rules to escalate conversations or route them to senior agents on the team. 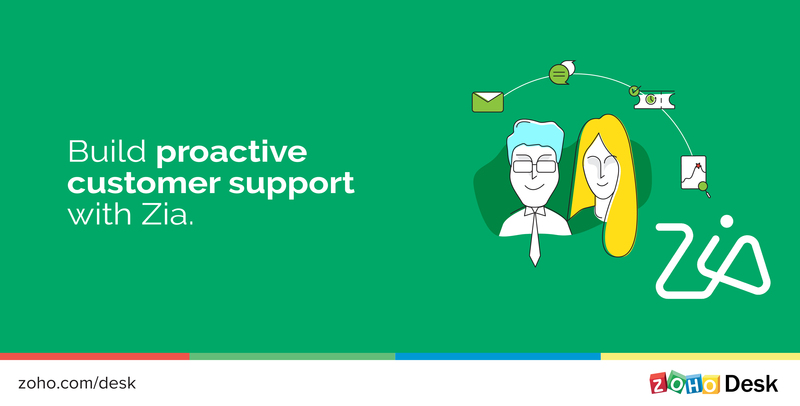 For example, you can route tickets from a key customer with a negative sentiment directly to a dedicated senior manager. That way you can address the customer’s issue proactively before things go south. Improving customer experience requires understanding the aspects of the business that customers care about the most or the ones they’re dissatisfied with. 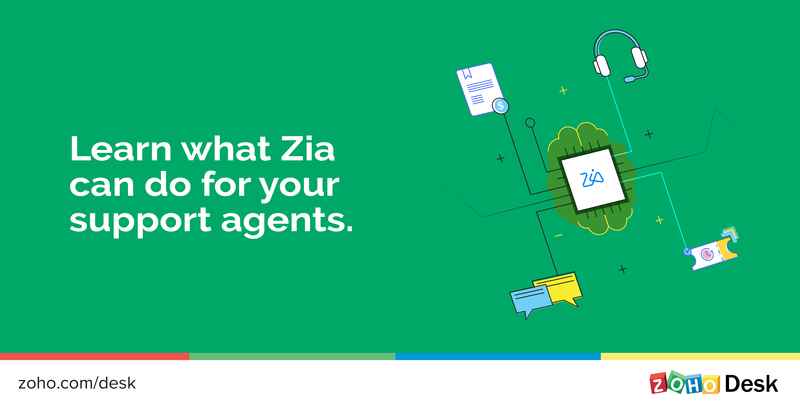 Zia identifies and aggregates the topics that customers talk about the most and helps decision-makers plan resources to fuel growth and customer satisfaction. Zia also indicates what percentage of incoming responses have a positive sentiment, neutral sentiment, and negative sentiment. Decision-makers can see the terms that led to the respective sentiment to understand the root cause of customer dissatisfaction.